…are grown right here on the farm, and available from early April through October. House plants, terrariums, paperwhites, poinsettias and a selection of indoor herbs round out our November and December offerings. Shrubs and trees are the anchors of even the smallest gardens. We stock a lovely collection of woody plants prized for their hardiness and beauty. Expect unusual conifers in addition to rhododendron, azaleas, forsythia and andromeda to brighten your spring space. Nurturing your inner orchardist? We carry an unparalleled variety of small fruits (blueberries, raspberries, grapes and so much more) and have a great supply of fruit-bearing trees as well. Dahlia tubers? Yup. Galdiolus and elephant ears? You betcha. Hundreds of varieties of vegetable and flower seeds? Oh yeah, we’ve got that. We carry only the highest quality seeds and bulbs, including a deep selection of organic vegetable seeds. Look for seeds from our friends at Botanical Interests, Hart Seeds, and Seed Savers Exchange. Whether you are looking for the rustic utility of terracotta or an eye catching glazed ceramic pot for your patio, we’ve got you covered. We are pleased to be offering a larger-than-ever selection of domestically made pottery this year. Garden art, including birdbaths and statuary from US artisans, are here as well. Who doesn’t need a concrete rooster, poured right in Rhode Island? Organic composts, mulches, garden soils and potting mixes are available in one and two cubic foot bags throughout the season. Coast of Maine products are well represented as are salt marsh hay, straw and Mainely Mulch. Quality is the defining criterion when we source products for your gardens. No dyes or chemicals are present in any of the bagged goods we carry. Organic fertilizers, pest and disease controls (including beneficial insects), tools, gloves, trellises, and more. There are so many options on the market. We select what we believe to be the best available products in terms of function and environmental impact and offer them to you in our well-stocked store. Gardening questions? 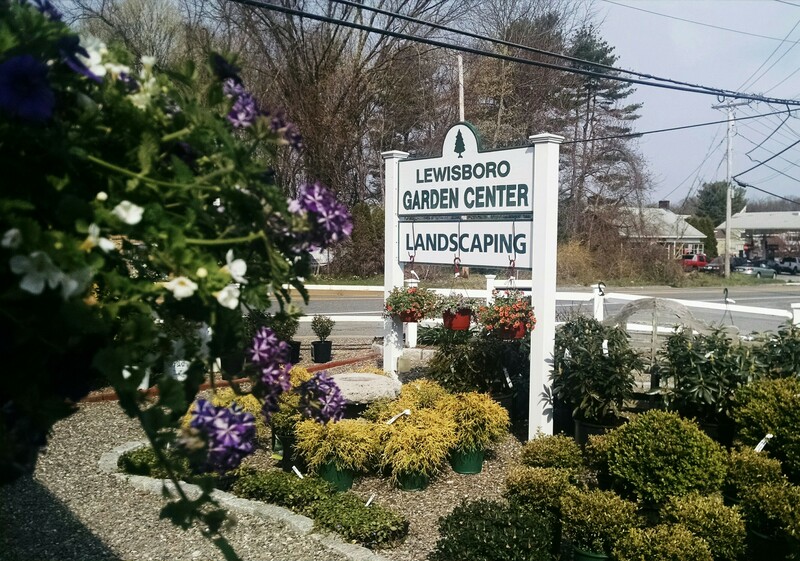 Come in and chat with our knowledgeable garden center staff. We are here to help.